The weather for most of this January has been appalling. Several degrees colder than normal with frequent rain. The only people who are happy about it are the folks who run the ski resort up at Limone Piemonte; they’ve had their best early season snow in years and are well set up for the next month or two. The rest of us have to grin and bear it. Sunday was the only sunny day in over a week; the rest of the time it just rained heavily. The rivers now have water in them – a sight unseen for over a year. So on this rare sunny Sunday we went for a walk. 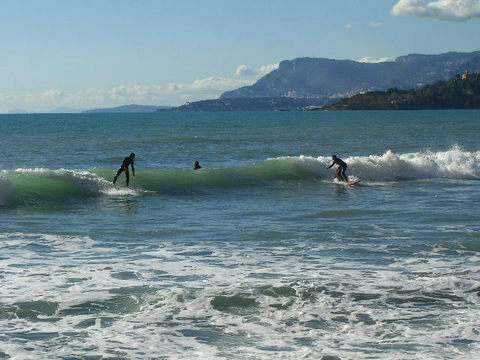 First along the coast to the beach at Calandre, where a group of surfers were having a good time. Then we headed up through Calandre and above Ventimiglia Old Town. From here there’s a fine view across the city. It’s very unlike the towns across the border on the French side; some would call it tatty but I prefer unsophisticated. Having said that it’s one of the best places to go shopping, whether for the daily covered fruit market or the weekly open-air market, and the local shops are diverse and respond well to the challenge of the market stalls, frequently offering even better bargains. Small wonder that the French flood in nearly any day. The biggest problem is traffic; owing to a bad decision regarding the siting of motorway exits, all the local traffic has to crawl through the town centre. 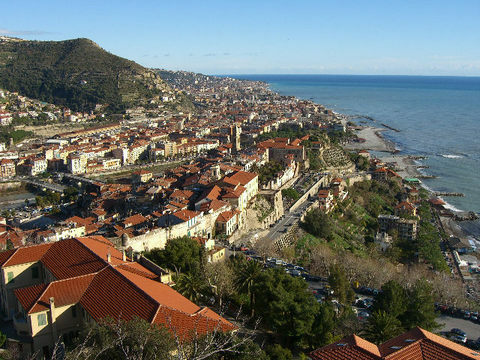 Bordighera suffers from the same problem and for the same reason. If I were a betting man I’d speculate that Ventimiglia has a bright future. 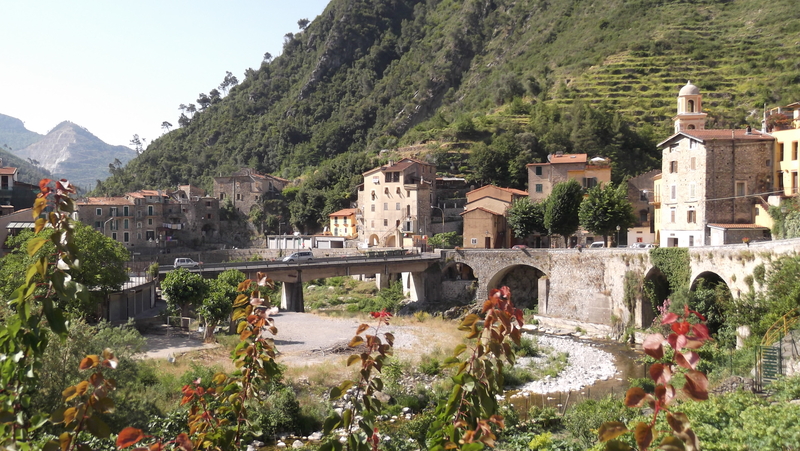 The prices of property around here are so much lower than their equivalents on the French side that the area is becoming popular with “frontier workers” who commute across to Menton, Monaco or Nice every day and enjoy a much cheaper, laid-back lifestyle here.